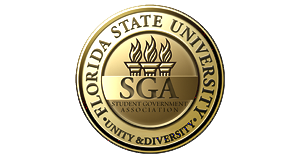 The mission of the Student Government Association (SGA) is to provide FSU students with representation, services, and advocacy within the university structure. The SGA provides quality leadership for, and accountability to, its constituency by recognizing that strength arises from diversity, engagement, and dialogue. Demetrius Winn is a 3rd year student here at Florida State University Double Majoring in Editing Writing and Media and Media Communication Studies. He was born in Honolulu, Hawai`i but has lived in Tampa, Florida for 10 years. Demetrius is passionate about contributing to solving many of the worlds humans rights issue which has led to his involvement with organizations such as The Pride Student Union and PeaceJam Southeast. He hopes that one day he can use media to positively and accurately portray minority communities in order to fight against many of the stereotypes of mainstream media and offer positive role models for youth across the nation.